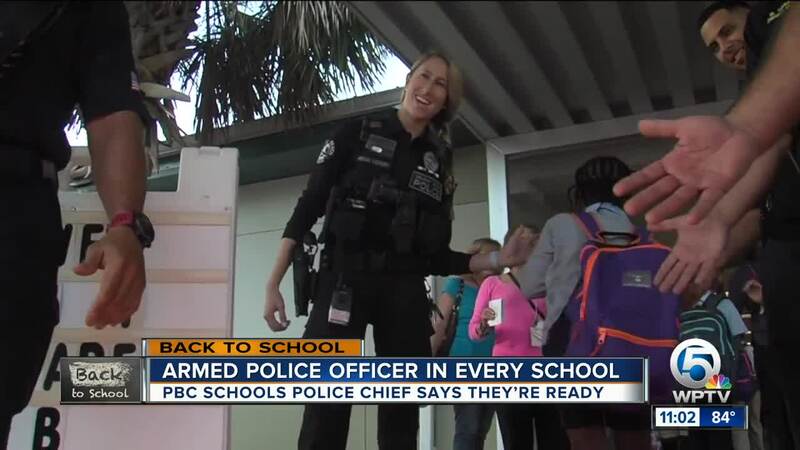 Almost 200,000 students headed back to the classroom Monday in Palm Beach County. It is an exciting day all across the school district but at Orchard View Elementary School, teachers and students are extra excited. The school raised its grade up to a “B” for the first time in six years. Firefighters and volunteers greeted the students with a red carpet and high fives when they arrived at school to get the kids excited and strive for an “A” rating this year. Orchard View is one of many schools in the district that raised its grade for this year. About 65 percent of Palm Beach County elementary schools are rated an “A” or a “B” -- that’s a five percent increase from last year. The district as a whole is rated an “A” school district.